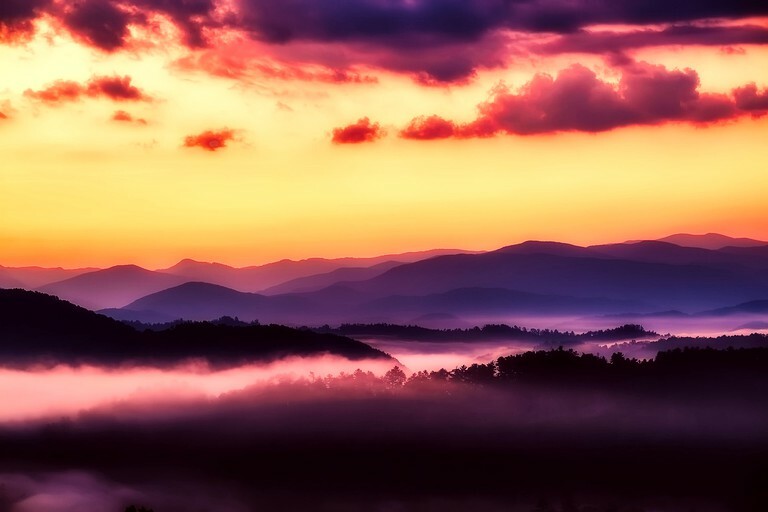 Tucked away in the beautiful Tennessee wilderness, these fabulous luxury tent rentals are located in Pigeon Forge, Tennessee, and are ideal for those who are planning a rural getaway with all the comforts of home. Each tent can accommodate either four or five glampers. 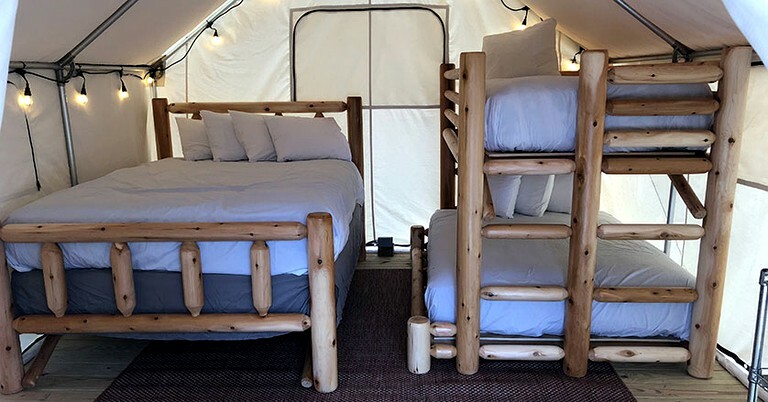 The tents for four guests feature a heavenly king-size bed and a full-size futon, while those for five glampers feature a plush queen-size bed and a twin-over-full bunk bed. 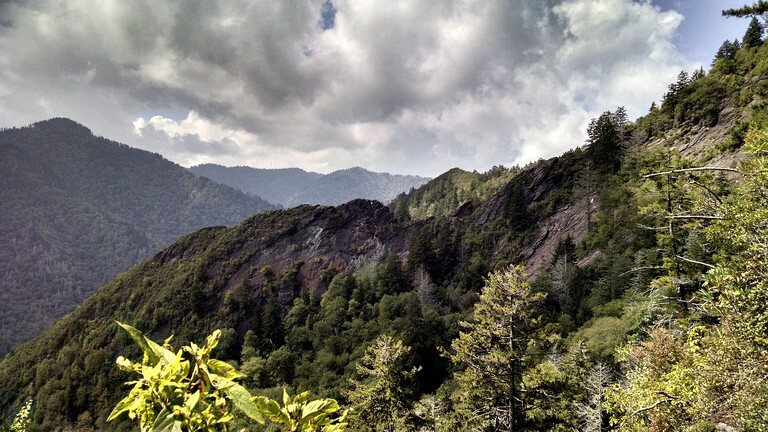 All beds are outfitted with crisp cotton sheets to ensure guests lull off into a restful slumber after hiking through Great Smoky Mountains National Park. This fantastic glamping site features five accommodations, which have everything guests need for a fantastic stay. The host provides quality linens and towels for all guests. There are air conditioning and heating in each rental to ensure guests are comfortable at all times. Each cabin features Wi-Fi throughout so glampers can stay in touch with loved ones back home or stream their favorite movies. For entertainment, there is a flat-screen TV in each cabin. Additionally, guests are able to pack light sink, as there are a communal washer and dryer on-site to keep all belongings clean. Outside, guests will find complimentary parking for one vehicle. Guests also have access to all communal areas, including a fishing pond, a fenced dog park, two swimming pools, a pizza shop, a gift shop, and a playground for tiny glampers. 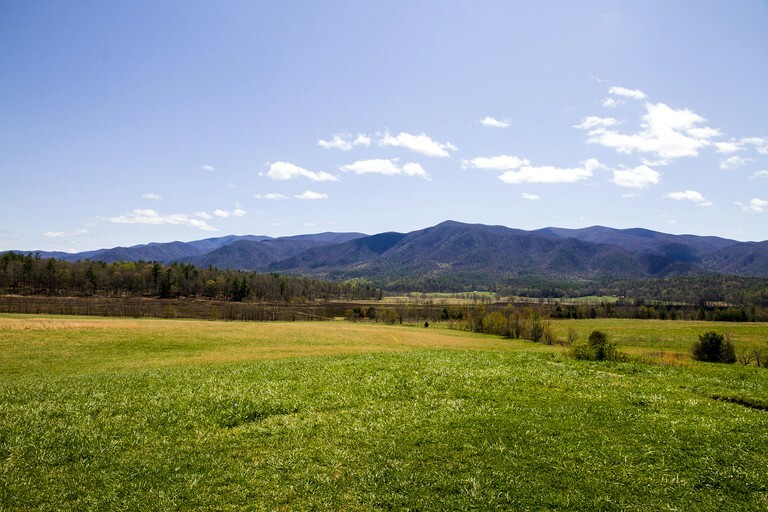 From exploring the Great Smoky Mountains National Park to venturing to nearby theme parks, there will never be a dull moment when staying at this rustic glamping site. 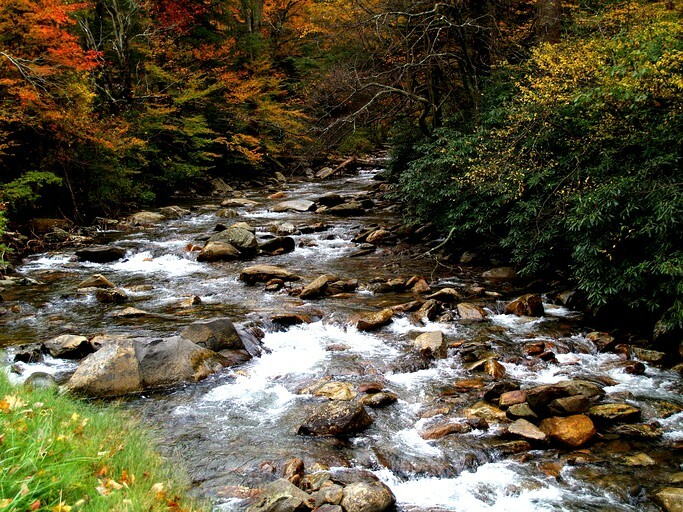 Glampers who want to get in touch with nature can make their way to the Great Smoky Mountains National Park where they will be able to hike, bike, and horseback ride countless trails while admiring the local flora and fauna. For those who prefer water sports, there are fantastic fishing spots, as well as areas for canoeing and kayaking. 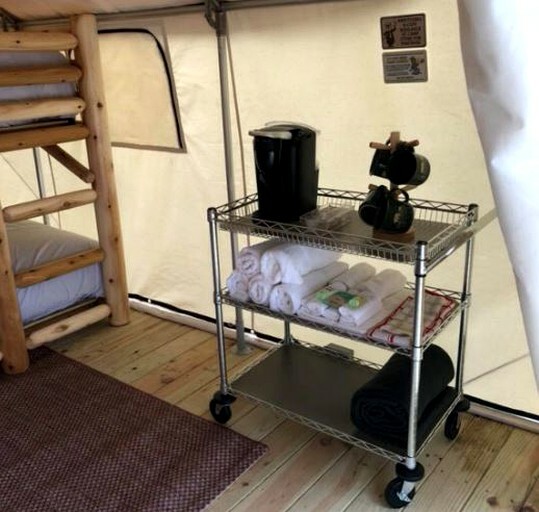 Glampers who want a bit more action during their vacation can make their way to nearby theme parks, such as Dollywood and The Island, where they can spend the day going on countless rides and seeing numerous shows. Guests can also head to Gatlinburg to visit Ripley’s Believe It or Not before heading to a local restaurant for a delicious dinner. Pets are not permitted in these accommodations. Please inquire with the host about their other pet-friendly accommodations if interested in traveling with a dog.